One of Basil’s happiest memories was singing in the chamber choir under the “demanding but kind” direction of Jerry Bidlack. He attributes the intensity of that work – learning to focus, to blend his voice with those of others, and to develop a sense of internal pitch and rhythm – as contributing to his success as a professional musician. Basil said his memory of David Dushkin is of someone who was equally concerned with students’ growth as people as their growth as musicians. “He’d go around in the afternoons and kick us out of practice rooms. It seems to me he was trying to say, ‘Go and be a kid: you can’t get this time back.’ That was a really big deal for him.” As Basil was deciding during those summers whether to go into music as a career, Mr. D’s insistence on balancing work and life made a strong impression. Which is not to say that he has achieved the right balance yet! As a performer Basil just completed a two-week stint as guest principal violist of the West Australia Symphony Orchestra in Perth. He also recently performed and taught classes in Santa Barbara, Rice University, the University of Texas at Austin and the University of Arizona (where he ran into Kinhaven violin faculty Tim Kantor). Upcoming projects include the Sunflower Festival in Kansas and appearances in New York, Italy, Bosnia, and Hong Kong. Working with young talent is one of Basil’s passions. 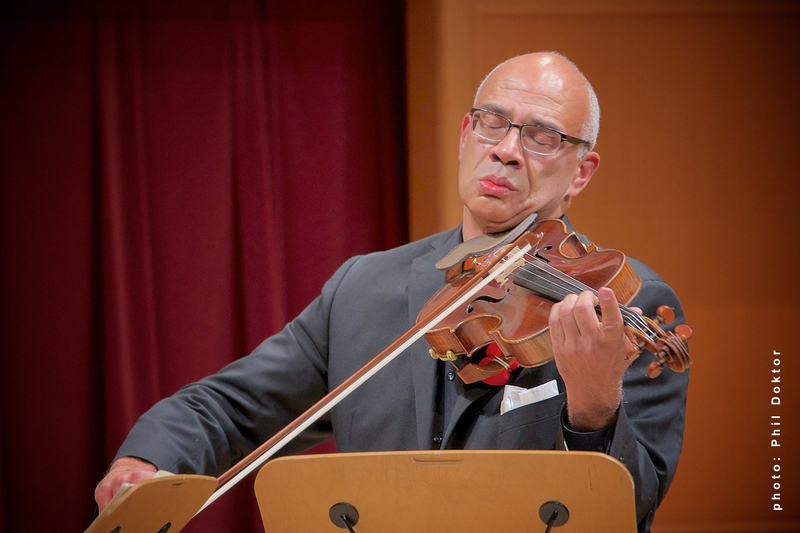 In addition to his work as principal violist (since 1993) of the Colorado Symphony Orchestra, he serves on the faculties of the University of Denver Lamont School of Music, the Castleman Quartet Program in Fredonia, New York, and the Green Mountain Chamber Music Festival in Burlington, Vermont. He is also the founder and director of the Colorado Young Sinfonia, which attracts some of the best young players in the Denver region and is now in its seventeenth year.